Some of our neighbors have very real needs that are not yet being met. With our deep expertise and ongoing partnerships, we know how to convert generosity into better lives for all of our community members. And when champions like you step forward to address the gaps, no hurdle or inequality is insurmountable. One champion is local philanthropist and Park City Community Foundation board member Karen Marriott. Karen began conversations this past summer with nonprofits and with community members and she realized that there was a gap in the services needed by the community. She learned that several of the nonprofits’ counseling clients need psychiatric medications prescribed and managed. However, none of the nonprofits currently have that capacity on staff, and access to medication management services is very limited in Summit County. “Most clients simply don’t have access to medication management, or only through their primary care physician, who often cannot provide the level of support or expertise that is needed to manage many of the medications. There are a few psychiatrists in Park City but most don’t accept insurance. For those most in need, many don’t have insurance or access to medication management, and as a result, their needs are not met,” said Karen. 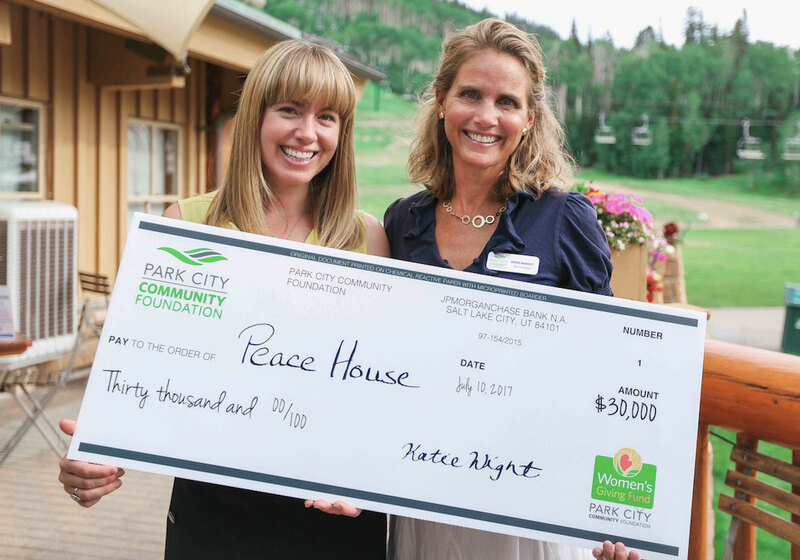 Karen came to Park City Community Foundation to help her determine how she could best make a philanthropic impact around her area of interest, providing increased services to those suffering from mental illness. Community Foundation staff took what Karen was trying to accomplish and helped convene those nonprofits that serve the most underserved in our community and helped create a plan of action. They addressed the lack of mental health medication providers and implemented a solution to ensure meaningful and collective impact. “It’s an honor to partner with a proactive organization that is finding creative ways to support its community members and its local nonprofits. I am grateful for the expertise and convening power the Community Foundation offered our family to come together in finding solutions that will have a real impact,” said Karen. These conversations have led to a Psychiatric Mental Health Nurse Practitioner—a specific type of Advanced Practice Registered Nurse (APRN)—position being created, through a generous grant provided by the J. Willard and Alice S. Marriott Foundation. This position will address the unmet psychiatric and psychotropic medication management needs in Summit County, providing services to the clients of four local nonprofits offering licensed counseling services. The APRN position will be hosted at the Christian Center of Park City (CCPC) and provide services to the counseling clients of CCPC, Jewish Family Service, Peace House, and People’s Health Clinic. The hiring of the APRN is a step in the right direction. However, it will take years, sustained commitment, and substantial resources for our community to truly change the mental wellness landscape. When you give through Park City Community Foundation, you’re making an impact that’s multiplied right away—and that keeps on giving well into the future. With our unique emphasis on nonprofit support, we help you sustain organizations that are making a real difference. And our expertise in long-range investing and giving means you’ll get the maximum return on every dollar you donate. If you would like to explore giving options, please contact Sam Mueller at Sam@ParkCityCF.org.